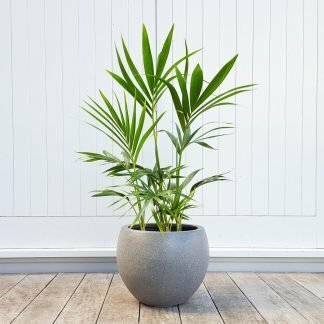 A slice of paradise, the Kentia Palm in a pot with lovely curves. 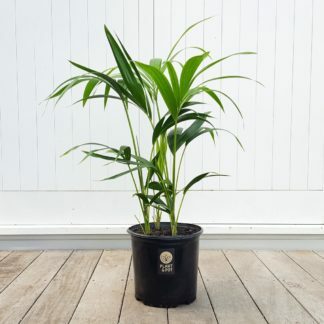 This easy to care for palm with graceful fronds is also known as Howea Forsteriana. It loves a warm and moderately humid environment with indirect light. There are four palm plants per pot for a bushy effect. 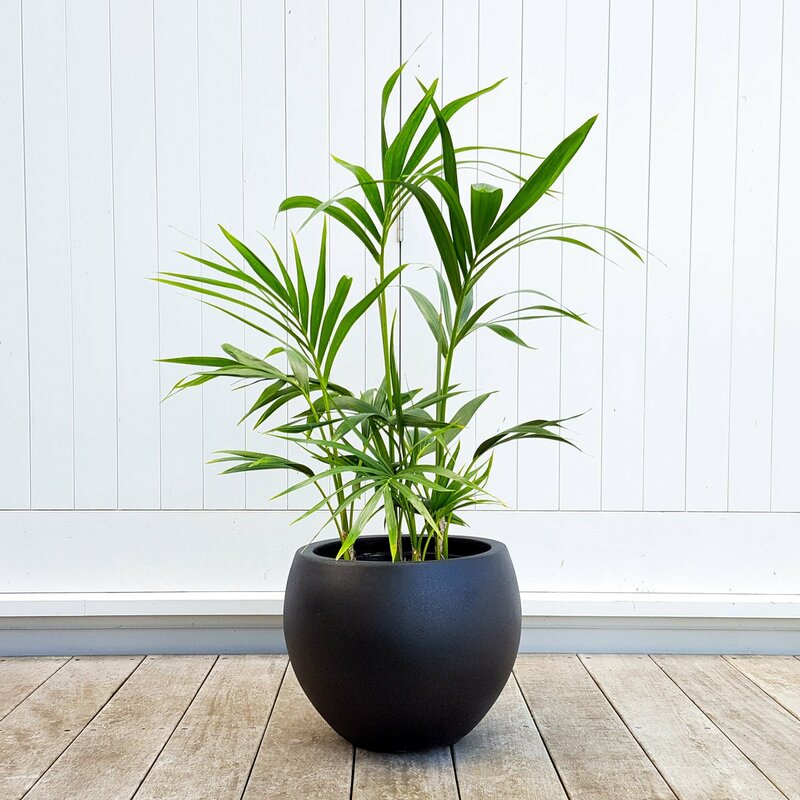 We’ve paired this palm with our Heerle Pot which has a matt stone-like surface. It is made of lightweight mineral-fibreglass composite, and has been sealed for indoor use. Pot dimensions: 36cm x 28cm tall. Dimensions including plant: 50cm wide x 85cm tall approximately.